Most homes have a lot of wood in the building due to furniture and cabinets that are present. Although the natural material may be durable, it can suffer from wear and damage over time if it’s not cared for properly. If you want to protect the wood and allow it to maintain its quality, there are a few basic tips to follow. Wood needs to be maintained and cared for to ensure that it continues to look beautiful and doesn’t fade over time. Do-it-yourself experts suggest, using a mixture of oil soap and water and applying it to the surface of the wood with a clean to cloth, which will remove any dirt that has accumulated. Rinse off the soap with clean water before patting it dry. It is necessary to use a sealant to protect the wood from moisture. Kitchen cabinet makers advise, “water is wood’s natural enemy, and can cause long-term problems or complications if exposed.” An easy and effective way to preserve the material is to apply a layer of oil or wax. Use coat of tung or linseed oil, which will seal the material and prevent it from being exposed to dirt. The product will also add a gloss to the surface of the wood once it’s applied. When using oil, apply it with a brush with the grain before wiping it off with a cloth. 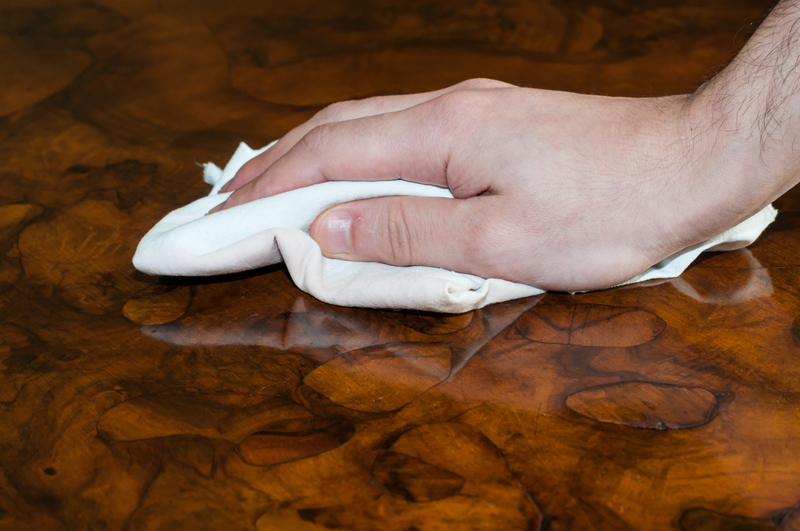 You can achieve the same results with paste wax to ensure that the wood remains protected for many years to come. The wood furniture items in your home can fade and become damaged over time if constantly exposed to the sun. You’ll need to place the pieces away from windows and doors where the natural sunlight may come into the building. Closing the curtains and blinds during the day will also protect the material from any damage. You don’t have to worry about the wood becoming damaged in your home with the right steps taken. With a few tips followed, you can preserve the material and allow it to last longer due to the high level of care you provide. Whether you’re planning on buying or selling a home sometime in the near future, making sure your wood furniture, floors, and everything in between is in top condition is critical. Other critical decisions to make in regards to buying and selling are too numerous to list. If you feel overwhelmed in the process of buying or selling a home, make sure to get in contact with us. We’ll help you find the perfect buyers, and we’ll help you find your next perfect home.